A shout-out to Chris, who is part of the Dream Team behind last year's youth-organized countdown party at MacPherson; Yvonne, our partner at MacPherson CC and a constant source of support to us in many ways; Helen, also from the CC who dropped by and helped out; and Genine, a new friend and eco-warrior whom we are very happy to have got to know, and who does super interesting work in both the arts and upcycling scene (check out her website and blog!). 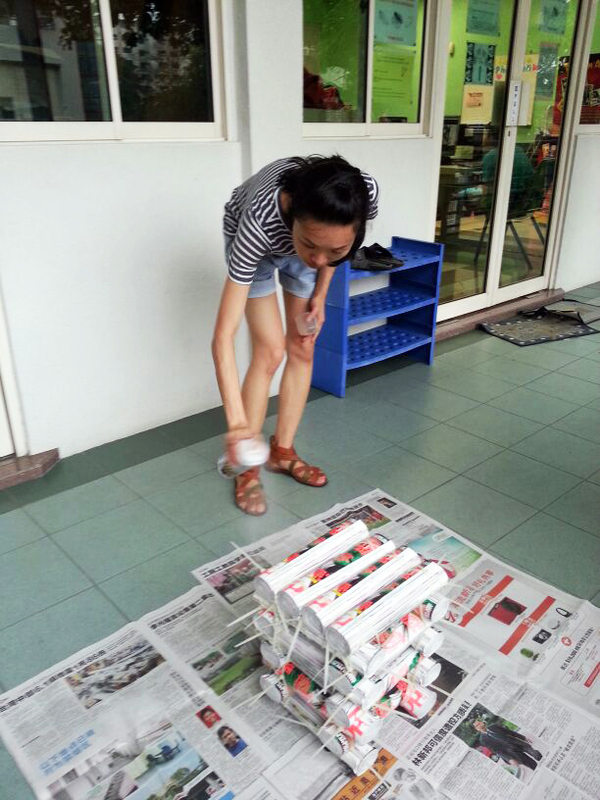 We'll be conducting a workshop on 13 Apr 2013 (Sat), from 10am to 12 noon at MacPherson CC, where we'll teach participants how to replicate these log stools that we've affectionately named Maggie. Look out for our online sign up form, or simply drop us an email at lets@participateindesign.org by this Friday, 12 Apr. 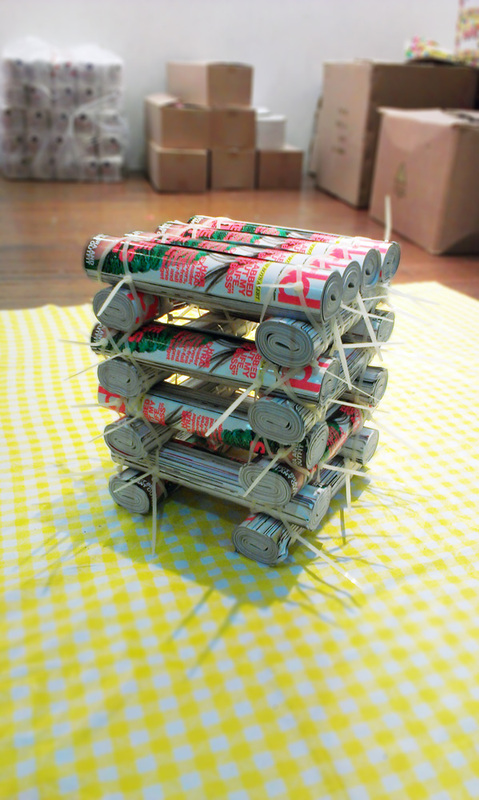 Newer PostJoin us for the Make Maggie Workshop!